Aside from the hottest of hot takes and moments of pure elation/vitriol that come during PEAK Minnesota sporting events, the most persistent recurring theme on these texts is probably outrage on the part of two particular members that I write too much about the NBA and not enough about the NHL. When I started editing our Timberwolves coverage a couple months ago, I was afforded a little bit of slack. But the complaints still exist. With that as a windup: I didn’t specifically think of the idea of this post to mortally wound those two fine gentlemen, but let’s just say I’ll be hearing about this later. The premise: The NHL just added Seattle as an expansion team. That’s a big deal in hockey. But: What does this mean for the NBA? And specifically, what could this mean for the Timberwolves? 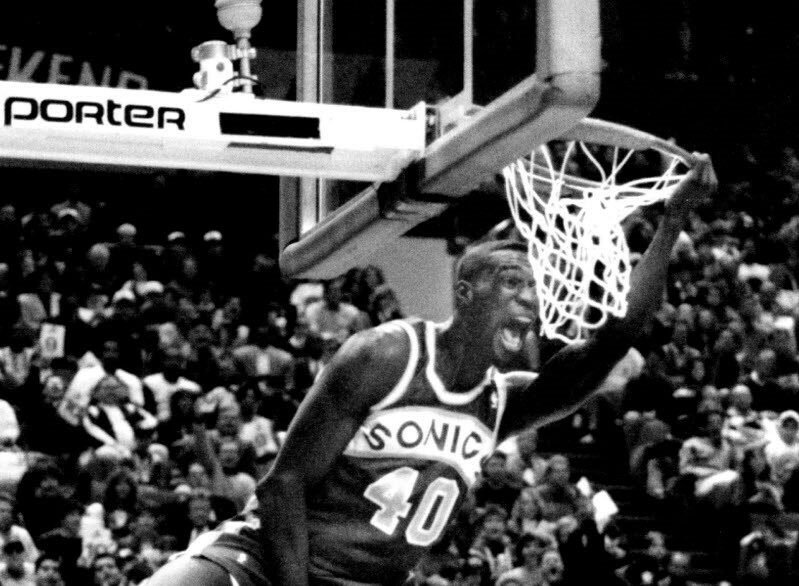 Well, it has long been speculated that Seattle could be in line to return to the NBA now that it has an arena renovation in the works. But the NBA wouldn’t just expand to one new market because that would leave an uneven number of teams. They would want to get to two different places, and a leading candidate could be Las Vegas — basically copying the NHL plan, but it’s a good one. That would give the NBA 32 teams … and it would probably necessitate some sort of realignment because both of those new teams would geographically be in the West. The West would need to punt one team to the East. And that team might be Minnesota. I’m willing to admit it’s not perfect. If you’re talking purely geographically, Memphis probably makes the most sense to move to the East instead of Minnesota. But Memphis fits pretty well conceptually with the other teams in its proposed division, which would have six of eight teams in the Central time zone. The Wolves, meanwhile, would be paired with several familiar cities — markets other Minnesota pro teams face regularly, particularly since the Wild went through realignment a few years back. Yeah, Atlanta is a weird fit. But you can’t please everyone. Every team would play the teams in their division four times (seven other teams, 28 total games); they’d play most of their non-division same conference opponents three times, but two of them twice (22 games) and play each opposite conference team two times (32 games) for a total of 82. The Wolves, who routinely lead the NBA in most miles traveled per year, would go from playing roughly 16 games a season on Pacific or Mountain time to 10. And a lot of 1,500 mile flights (distance from Minneapolis to Los Angeles) would become 1,000 miles (New York) or less. All of this wouldn’t happen for several years, by which point I’m sure the NBA’s Eastern Conference would suddenly be the dominant conference and the Wolves would be penalized. That’s just how it goes. But at least their alignment would make more sense. So congratulations to Seattle and the NHL. This expansion news is as good a reason to write about the NBA as any.